The Freedom TXT 72V series is your top of the line performance unit in the Freedom series and is loaded with standard accessories. The 72V AC Drive train provides unparallel hill climbing performance and increased driving range per charge over the standard 48V. 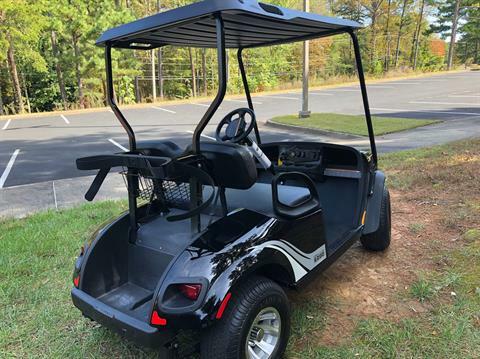 The TXT 72V has a wider bench seat and a standard blinker kit needed for street legal requirements. The dash system that is loaded with more accessories including four convenient built in cup holders, dual USB ports, high/low power switch, dash storage compartments, and a volt meter. The Freedom series is designed with the advanced IntelliBreak system for added safety. 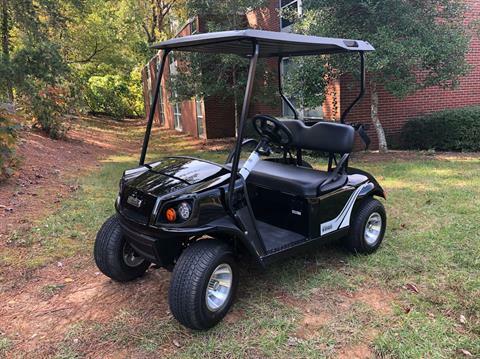 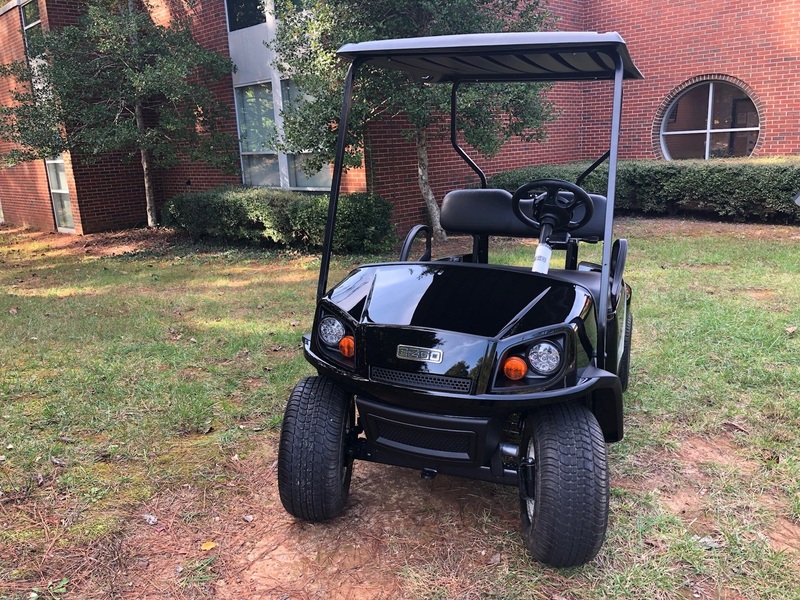 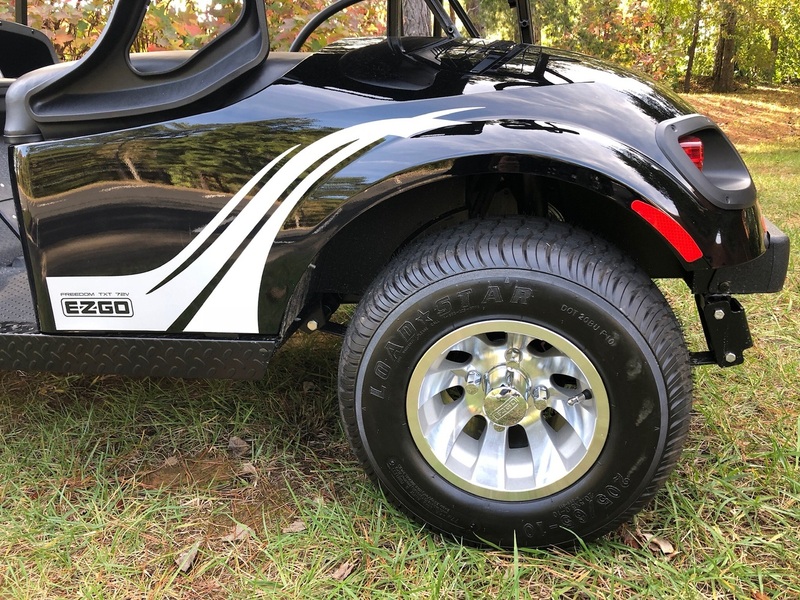 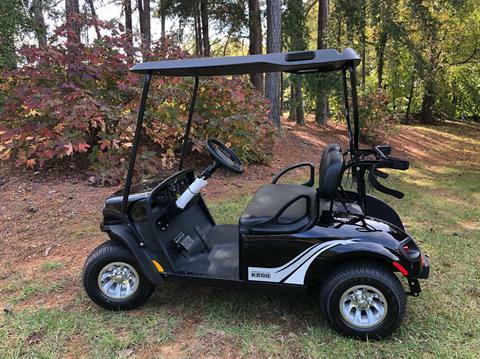 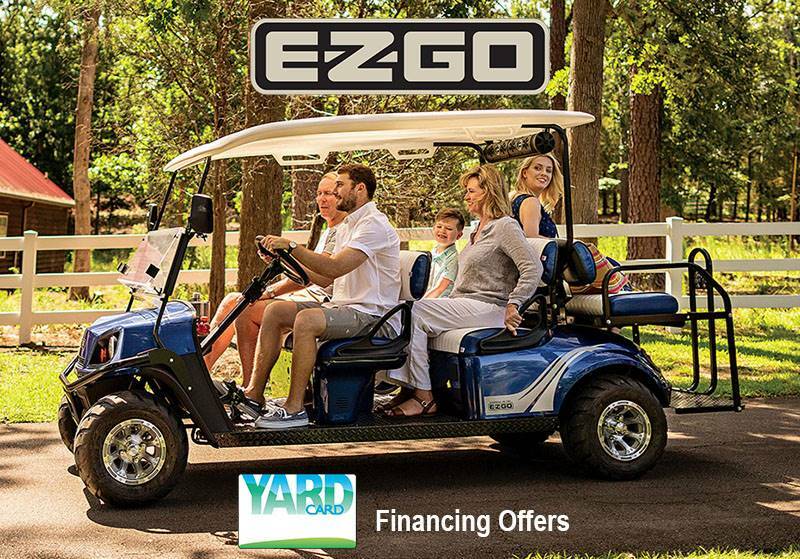 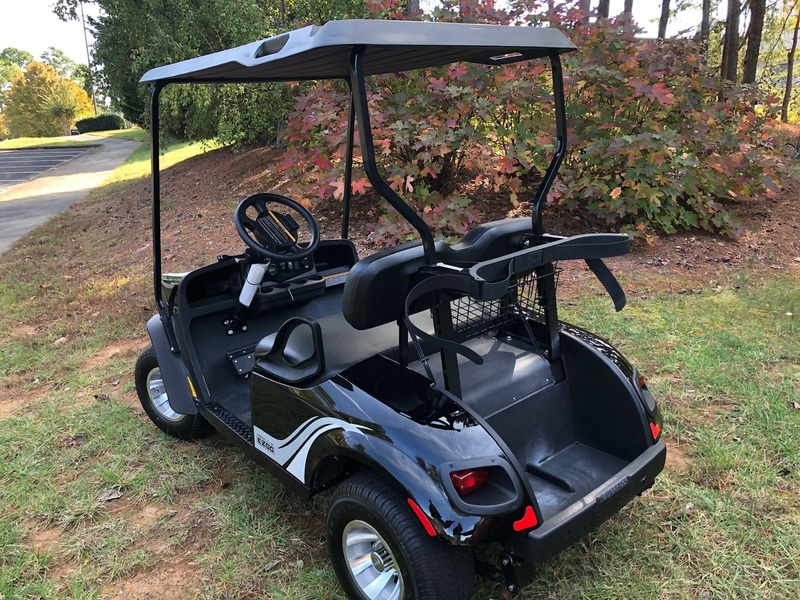 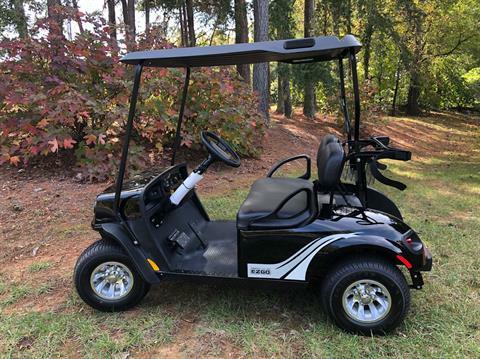 This sophisticated and sleek black cart with golf bag storage back will turn heads with 10" Daytona wheels and 20" Loadstar tires for a tougher terrain.